My first published book concerned vampires through the visual medium (film and television), so I’ve got a natural bent toward vampires. What I intend to do here is collect the various vampire related posts to make it easier for readers or researchers to find information. Most people think of vampires as suave fellows draped in a cloak with a widow’s peak. Or maybe now, a young romantic figure to sweep you off your feet, with fangs. There are plenty of misconceptions about the vampire. Need to bone up on the vampire basics? You’ve come to the right spot. Let’s start with how to Become a Vampire (beware, these are stranger than you think). Next learn how knots, dead dogs, and excrement can keep a vampire at bay. Then there’s the folklore behind lemons, clocks, and tar that cause the vampire to back off. If you need to capture a vampire, don’t just use rope. Go with carpets, oil or a bowl of cold water to keep a vampire in his place. Finally, if you need to dispose of a vampire, forget the stake. Use a sock. Yes, that’s right, a sock. Imagine a vampire as a head with gigantic ears that soars toward victims to devour blood and inflict curses. This is the chonchon, the Ear Flapping Vampire. In Albania and Romania, they have a legend of a vampire that eats the moon, creating eclipses. Madam Bathory is one of the classics of vampire history. She was real, but what if you could restore you youth through blood? Think you’re a vampire (or at least want to act like one), then you need to learn the ropes. Which kind of vampire are you? Yes, there are various types. Check out What Kind of Vampire Are You or Vampires Revisited. There are more vampire films than any other genre type. The whole shebang started with one movie: Nosferatu. Discover how Florence Stoker had all the prints destroyed. Then see how the film rose from the ashes to emerge as a classic 40 years later. Check out the Vampire Collectionary for all your vampire shopping needs. 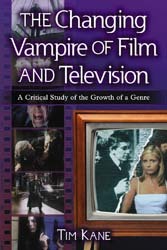 Check out my book, The Changing Vampire of Film and Television, to learn more about how vampires have evolved on the screen. I am enjoying your blog, and that you keep progress notes on your writing. 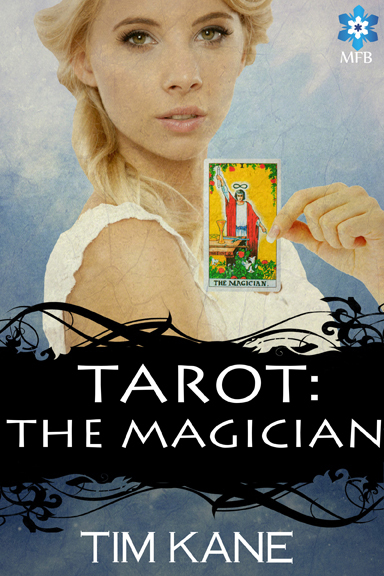 I am not on a professional level by any means, but I do have a book that I have been working on. It has a very near and dear place in my heart. My grandfather passed away a few years ago, he had been working on his memoir, when he was at the end it was very important to him that I have it, and finish it for him. He has led quite the interesting life, and I plan for it to be a little bit of a history lesson for the younger generations, and a tale of a granddaughter who cherished her beloved grandpa. I am learning alot from you, thank you..and keep up the good work here. I applaud you picking up your grandfather’s work. I agree, you’ll need to include yourself in the memoir to make it work. Remember, the more emotion you put in, the better it will read. So glad what I put there is helpful. Also check out the San Diego Professional Writer’s blog (my writing group) as it has more tips on writing. (Link’s in the sidebar). I have wanted to be a writer for as long as I can remember, and I do mean way back to when I was only a little tot..I wrote a story for children, and made all of the characters modeled after family members. I used characteristics and different animals…well there was a flood in our house, and the story that I wrote was thrown out.. But, I have never given up belief that I was meant to be a writer. My grandfather’s story, well I guess it was just the beginning for me. He was such a huge part of my life, he had such a role in who I am today…of course I need to be the one to write his story.. Thank you for your inspiration..
My granddad also wrote, but he shelved it all after WWII. I guess that killed the creative spirit in him. Some of his stories were excellent though. Thank you, Tim, for ‘putting it out there’. I think it’s a great idea for all writers; a way to account for ourselves. And it shows in the above comments that you are an inspiration for other writers. Bravo! Thanks. And I haven’t kept it up simply because the revisions are so ad hoc, there’s no way to document them. I actually came across a tool for doing just that and I didn’t latch onto it. I’ll get back to you if I come across it. Though you are doing just fine as it is. That was some really interesting information about vampires. It’s a good thing that I have lots of socks on hand. I have always had a fastination with vampires. I love reading about them from the olds day of Countess Elizabeth Bethery to modern day vampires. You have some great works here about them too. I enjoyed reading this post.